A huge benefit of moving to an independent living, assisted living or other senior living community is being surrounded by others of a similar age. If you think about it, these unique residences are like dorms for seniors! They can attend activities together, enjoy meals with their neighbors and even take the community transit to outside events and run errands together. Seniors who live alone may become lonely, especially if they don't get frequent visitors or aren't very mobile. Transitioning to a senior living community may provide much better opportunities for your loved one to make new friends and unite with longtime buddies in the local area. Many seniors do not drive, and that can pose a difficulty for getting out to see friends. Let your loved one know that you can provide a ride to and from a friend's house whenever you're free. You can drop off the senior and pick him or her up later or even join in on the cribbage game, lunch or other event if you're invited. It can be fun to listen to the stories of people who have been friends for so many years. You may learn about cool things your senior friend or family member has never mentioned before just by listening in! 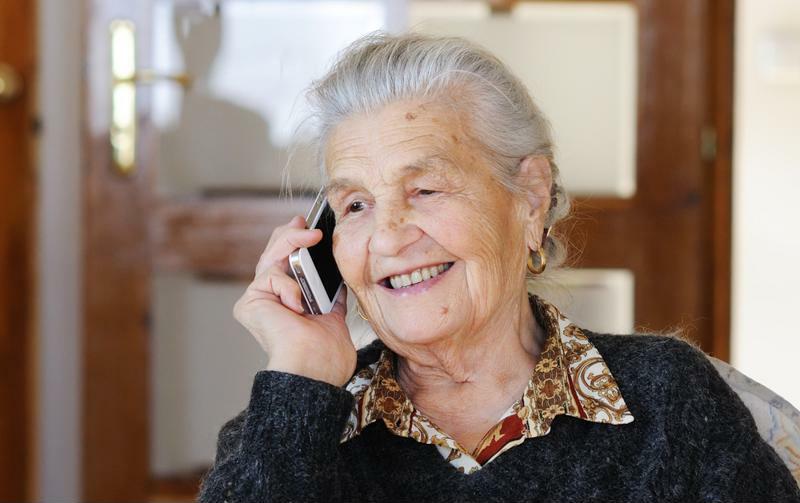 Seniors can set phone dates with pals across the country to ensure both parties remember to talk. Seniors often have friends that live all over the country, making traveling to see one another a big undertaking. Since many people don't have the time, energy or funds to fly several times a year, make sure your senior loved one is keeping in touch with his or her friends despite distance. With today's technology it's easy to pick up the phone, send an email or even video chat with anyone across the globe. Help the senior learn how to set up an email account, create a social media page or use a smartphone so he or she can call, text or otherwise contact friends easily. Sometimes setting up a phone date with a specific time is best so both parties remember. Senior living communities offer many ways for residents to make new friends. Encourage your loved one to attend group activities like game nights, movie screenings and performances. This is an easy way to get to know others in the community. Simply saying, "Hi!" can be the beginning of a beautiful friendship for people of any age! Once a senior starts meeting people, he or she will suddenly have plenty to do, from going to lunch together to strolling the community grounds. Friendships can greatly improve seniors' overall well-being and health, so this is an important part of growing older.